What does a Garage Experts Franchise Cost? 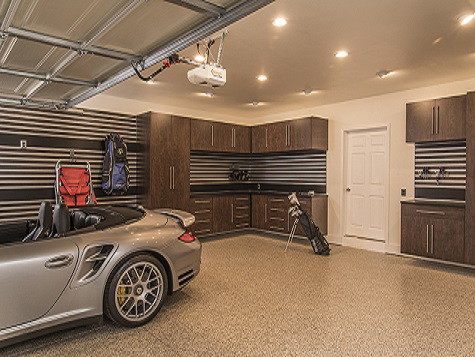 Garage Experts is a national franchise system that specializes in the installation of Garage Floor Coatings, Garage Storage Cabinets, Garage Ceiling Racks and Garage Slat-Wall. The cost to own your own Garage Experts franchise requires a cash investment of $30,000 and a total investment between $48,053 - $85,982. Franchisees receive extensive training on product installation, internal systems, estimates via 3-D systems, and grow their Garage Experts franchise. 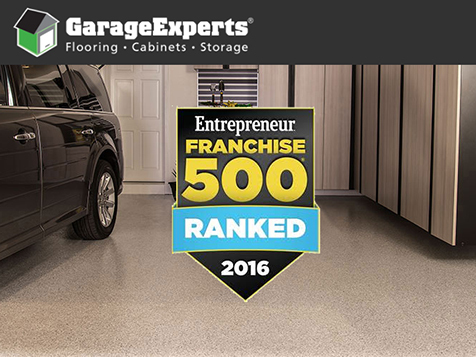 Garage Experts® is a national franchise system that specializes in the installation of Garage Floor Coatings, Garage Storage Cabinets, Garage Ceiling Racks and Garage Slat-Wall. Each franchise goes through an extensive 5 day training program where they learn how easy it is to install our floor coatings and storage products. They also learn how to operate our Cloud Based CRM which tracks leads and lead costs, use our CAD software to provide 3-D estimates on the spot, how to access our website to update their jobs done pages and how to properly implement the Garage Experts brand. Garage Experts is one of Entrepreneur Magazine's top new franchises for 2013. In fact, they believe so much in their program, if you don't make $750k in gross sales in your first 3 years, they'll refund your fees via a 10-month royalty holiday. The GarageFX Flooring™ coating system we use has been installed on millions of square feet of home and industrial concrete without failure. Our cabinets are produced in the USA using state of the art CNC machines. Garage Experts® is positioned well to provide the services needed by homeowners who are updating or enhancing their garages every day. The demand for garage home organization products is expected to rise rapidly — 5.6 percent per year — through 2017, outpacing home organization product demand in general. 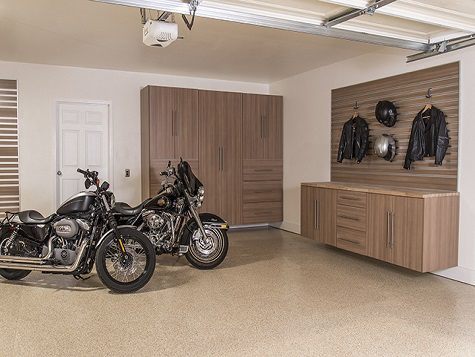 The 2013 Vance Research Cabinets and Closets study indicated that several of the top homeowner garage upgrade requests include: cabinets, slatwall, flooring, hanging racks. Garage Experts® offers a turn-key business opportunity for those entrepreneurs who are driven to provide a great product and value to their customer. Our System will provide you with plenty of the tools needed to run a successful Garage Improvement Company. 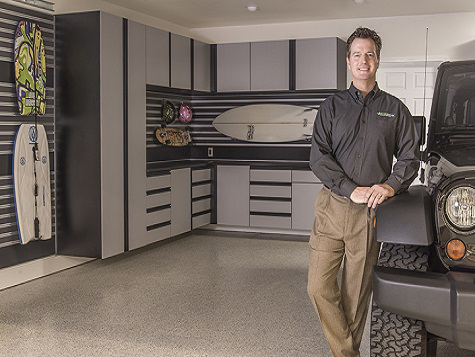 Garage Experts® has positioned itself to become the leader in the garage makeover market. Our franchisees have an edge over other companies because they will be purchasing the coatings and cabinets direct from the manufacturer. This keeps the quality high and the costs low because there is no middle man or private labeler in the background taking their cut of the sale. Please fill out the form below if you would like to receive more information on how to become a Garage Experts® franchise. Once filled out you will be sent further details on this great opportunity and a representative will follow up with you to introduce themselves and go over any questions you may have.